We have a few updates regarding several WWE performers that were not on this weekend’s live events. 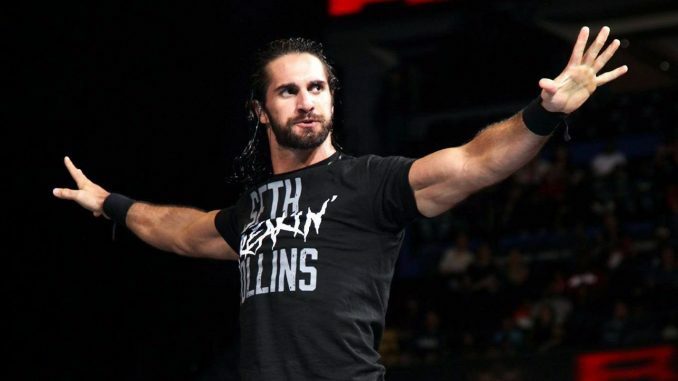 Seth Rollins is the most notable and he is said to be dealing with an issue that predated the angle with Brock Lesnar last Monday. He is off live events for the time being and not expected to be used on Raw this Monday to recover. We were told that he will only be doing promos with no physicality for the next month on television. Sasha Banks was not cleared after her match with Ronda Rousey last Sunday at the Royal Rumble, but she is expected to be cleared for Monday’s Raw and her tag match with Bayley against Nikki Cross and Alicia Fox. AJ Styles was dinged up recently but should be cleared by Tuesday for the television tapings. Becky Lynch was not at the SmackDown live event on Saturday in order to sell the knee injury. The injury is all storyline even though she is selling it by wearing a knee brace in public. The knee injury is said to be an angle that will play out on television this week. Lynch is scheduled for a segment with Stephanie McMahon on Raw Monday night. A big part of the storyline with Becky is that she refused to be medically evaluated on television and working at the live events would have contradicted that aspect. We should add that the clearances are internal estimates and subject to change if there are any complications.